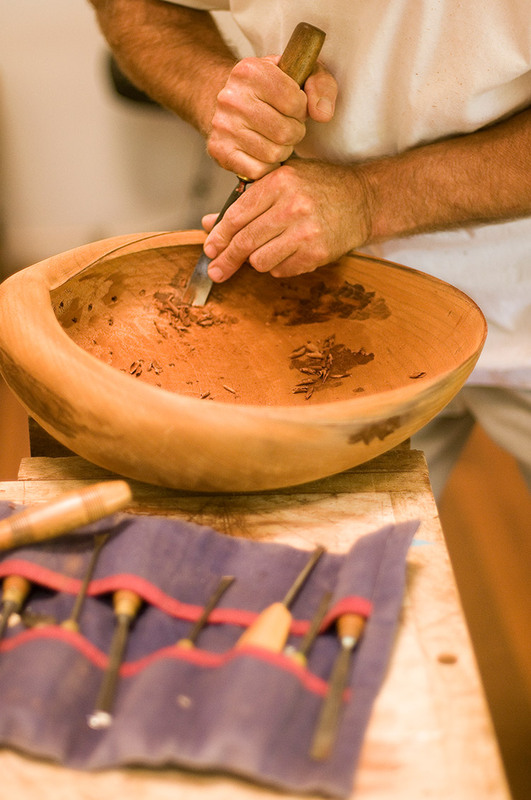 Enjoy learning the skills of woodcarving & sculpture from Grant Vaughan, a wood artist with over 30 years experience. The classes are held in Grant's studio which sits on 85 acres of tranquil bushland in the foothills of the Border Ranges in Northern NSW - See location. You will learn the processes to create a new piece from initial concept through to the final product. Each participant is supplied with the timber to carve a sculptural piece to a set design. The design has a similar aesthetic to Grant's own work. The course includes the use of freehand & technical drawing; making and scaling up models to create full size templates, timber preparation and band sawing; techniques and tools to complete the work, as well as finishing methods. Lismore, only 15 kms away, offers a great range of accommodation and dining options. See visitlismore.com.au.